Newsflash: North Dakota Is Beautiful! Of all the landscapes that can explored on foot, after mountains, I pick plains. 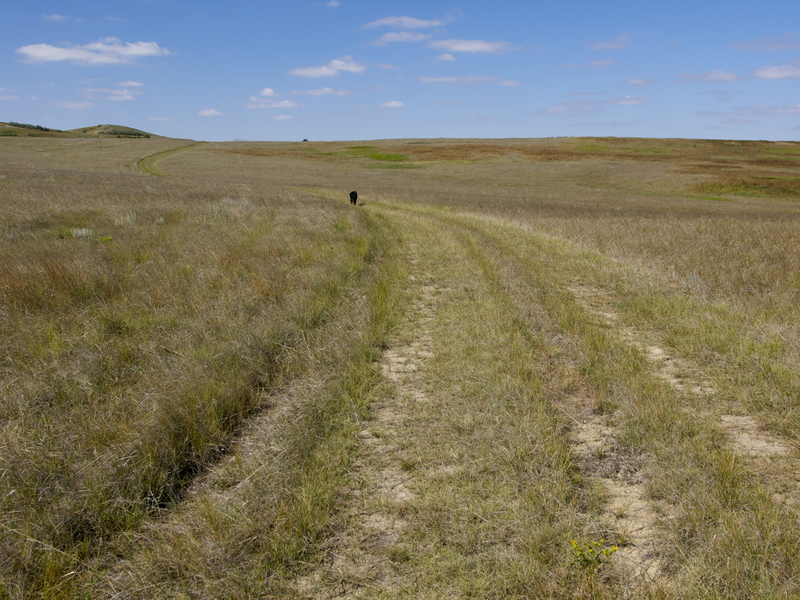 Anybody who thinks the Great Plains are flat and featureless has not walked across them. 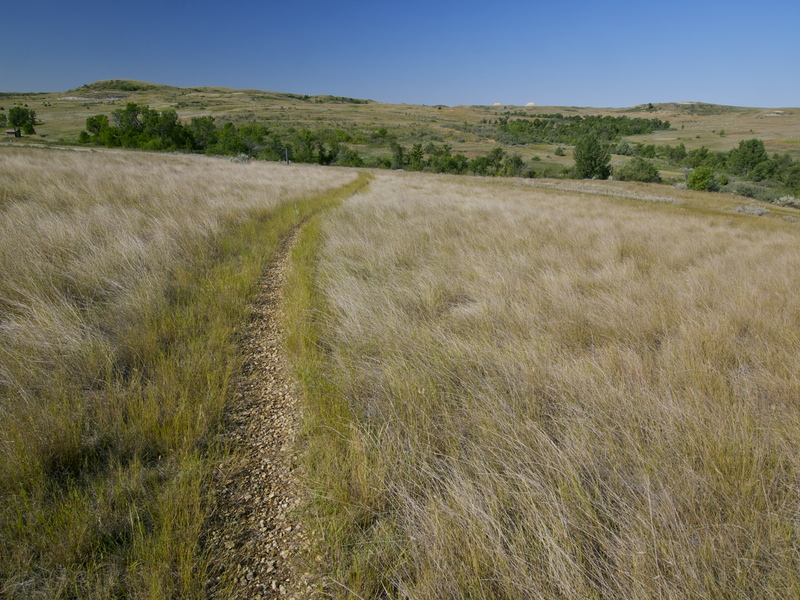 Grasslands are rolling, dynamic places that showcase the dance between Earth and Sky like no other. I think what I love most is the space. I love how far you can see and how far you can walk. 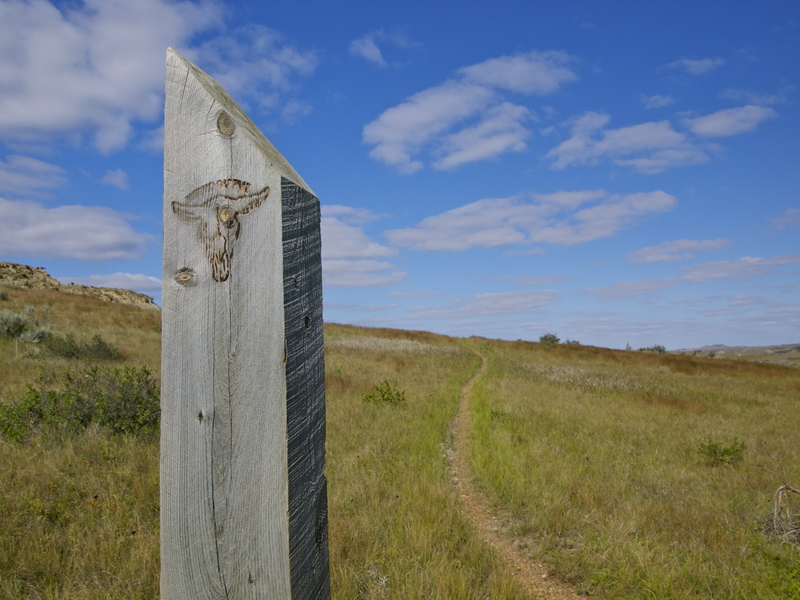 On foot in the Great Plains, the world and its possibilities are endless. After a starry night at the Buffalo Gap Campground just west of Theodore Roosevelt National Park in North Dakota, I hit the Buffalo Gap trail and followed it east for a few miles, then cut a big off trail semicircle back to the campground, following ancient wagon ruts, cattle tracks and my strong, practiced sense of direction. Along the way I found the most beautiful chunk of petrified wood I’ve ever seen (stay tuned for a post), saw a coyote, several pronghorn, a jackrabbit, and zillions of prairie dogs. 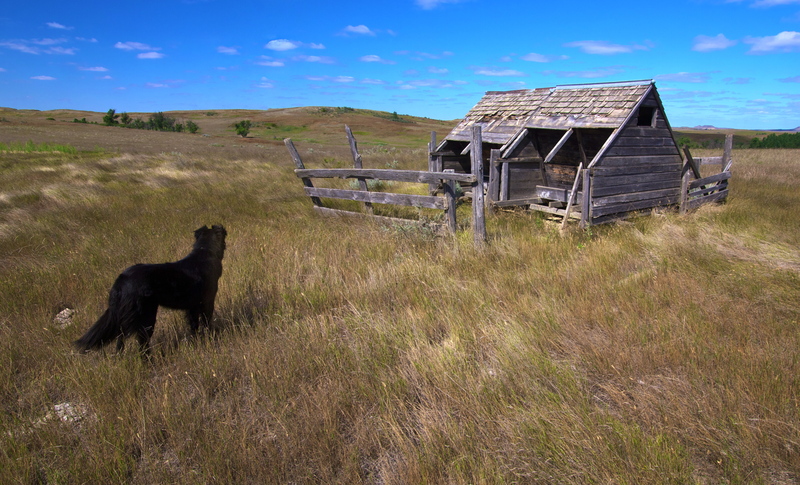 Even after a spectacular summer hiking in the magnificent Canadian Rockies, North Dakota’s Great Plains put on quite the show. Old Tracks. I wonder who last drove this way? Wyeth Barn. I feel like this scene is straight out of a painting. Dio is watching an antelope that was watching us from that hill. 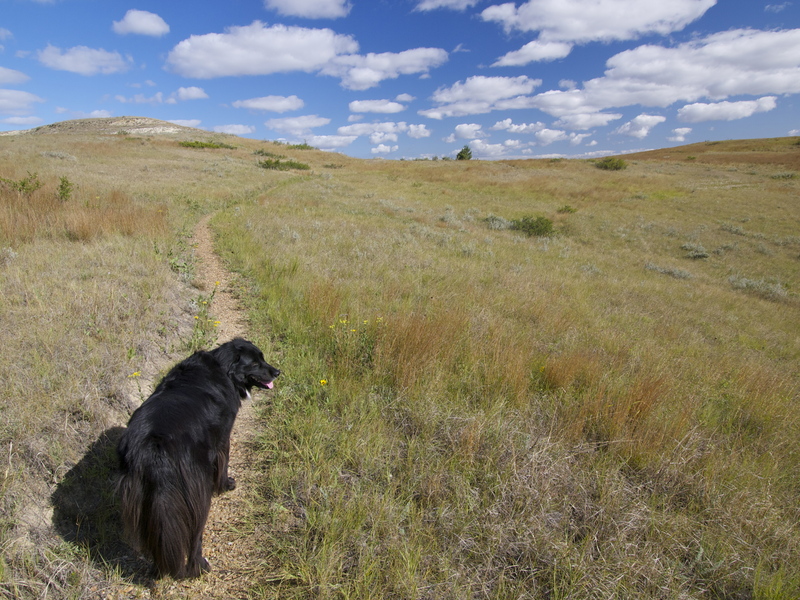 11 Responses to Newsflash: North Dakota Is Beautiful! Wow! The sky goes on forever in the prairie states. Beautiful photos. I love the Dakota’s, too. 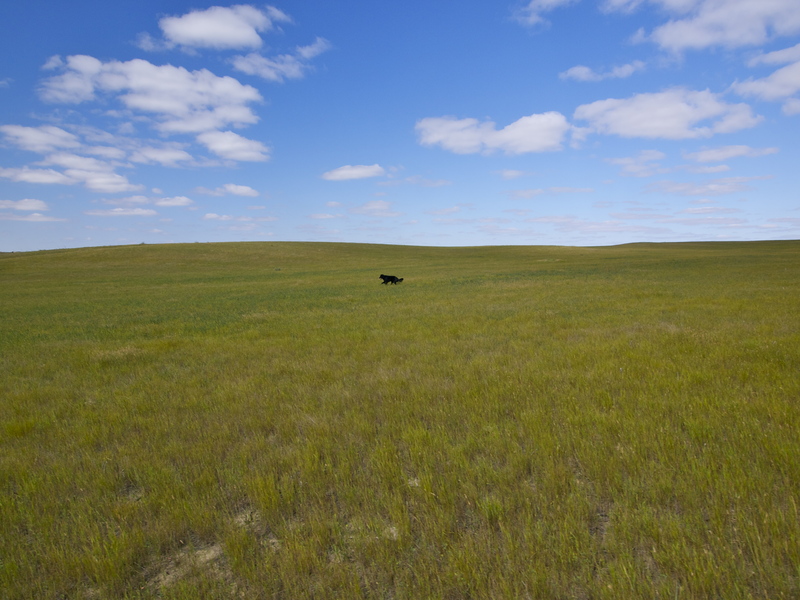 The movie “Dances with Wolves” had all that beautiful rolling grasslands. Love reading your Blog, Mary. Wish I could do what you are doing and am so glad you are able to. Every single one of our states has its own unique beauty if you stop to look for it. I love the prairies. They are beautiful. 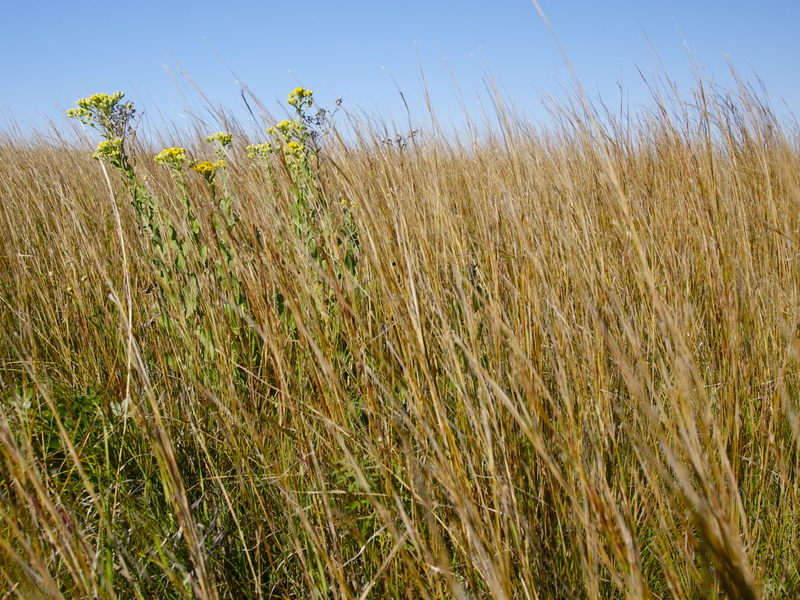 The way the wind moves the grass is a lot like how the wind makes waves in the open ocean…Prairie Schooners were well named. 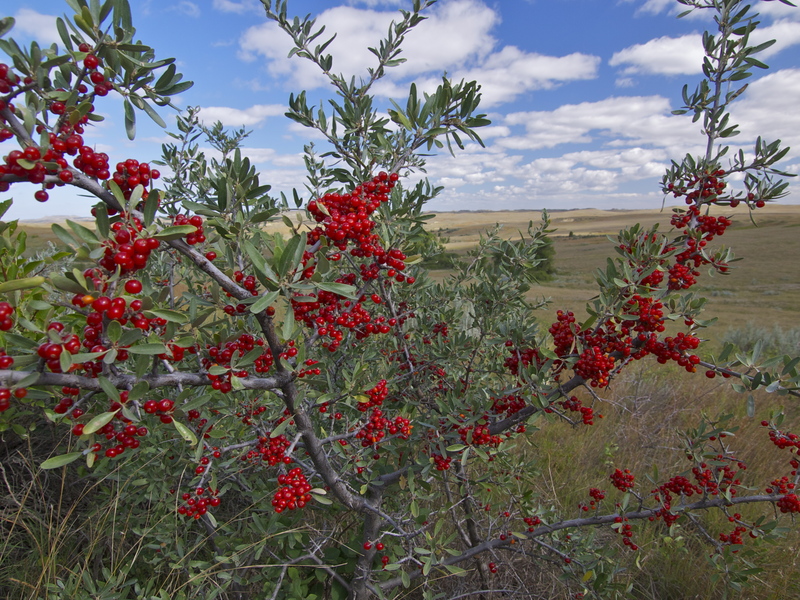 When we left Glacier Park the drive across northern Montana to TR park was a favorite of the trip, the prairies of Nebraska were also special. Your pictures capture it’s beauty so well. Your pictures are great. I thought about how once the great heards of buffalo used to cover and roam these prairies. All that room with grass reminds me of being a kid and rolling in the grass for fun; or laying on our backs when it was beginning to get dark and checking out the stars…..ahhhh.